Don’t Miss Ovation RCS’ Next FREE, AHIMA & AAPC CEU Approved Educational Webinar, “Headache Free CVA Coding” on May 14, 2019 from 12-1p.m. EST. 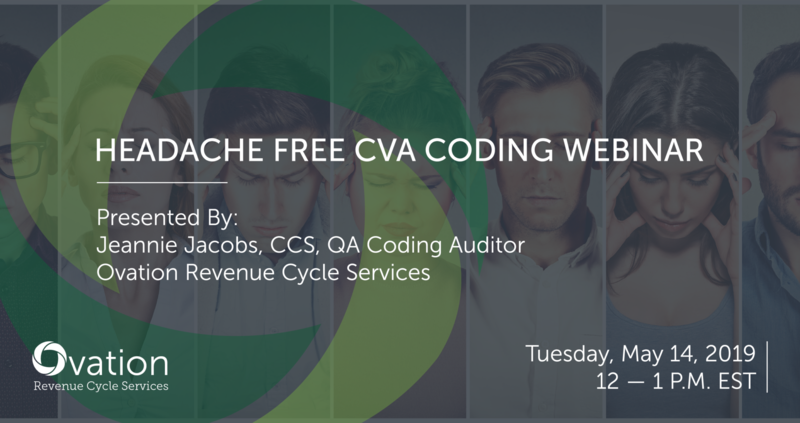 During this webinar, Ovation’s very own QA Coding Auditor, Jeannie Jacobs, CCS will discuss the most updated coding guidelines for coding CVA Coding. If you are unable to attend the webinar, please connect with Ovation Revenue Cycle Services on LinkedIn, Follow us on Twitter (@OvationRCS), and Like us on Facebook (@OvationRCS) to stay up-to-date with all of our latest news, upcoming educational webinars, and our 2018-2019 conference schedule. 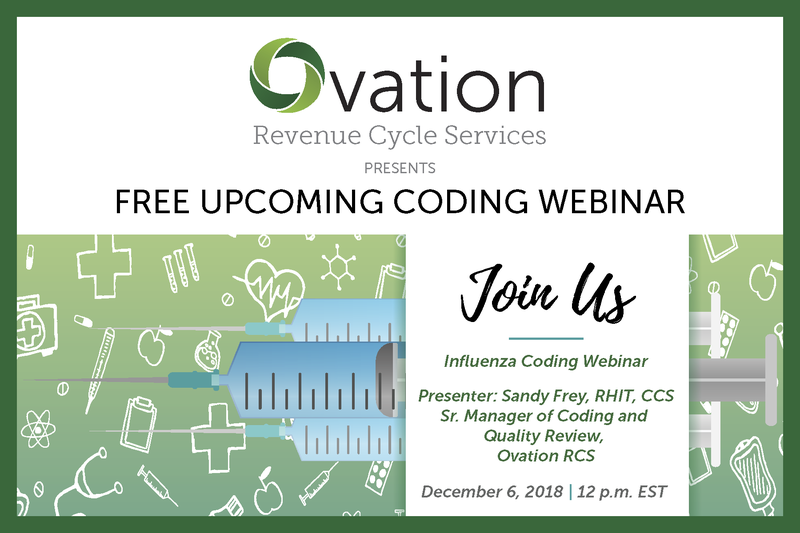 Don’t Miss Ovation RCS’ Next FREE, Educational Webinar, “Influenza Coding” on December 6, 2018 from 12-1p.m. EDT. During this webinar, Ovation’s very own Sr. 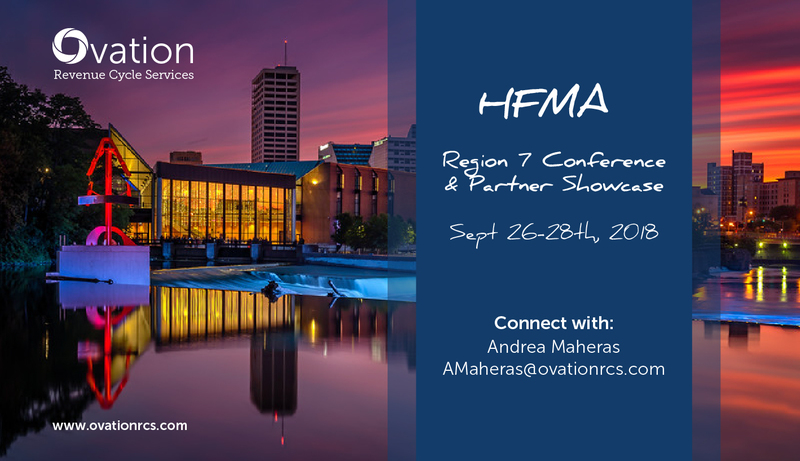 Manager of Coding and Quality Review, Sandy Frey, RHIT, CCS will discuss the most updated coding guidelines for coding Influenza procedures. 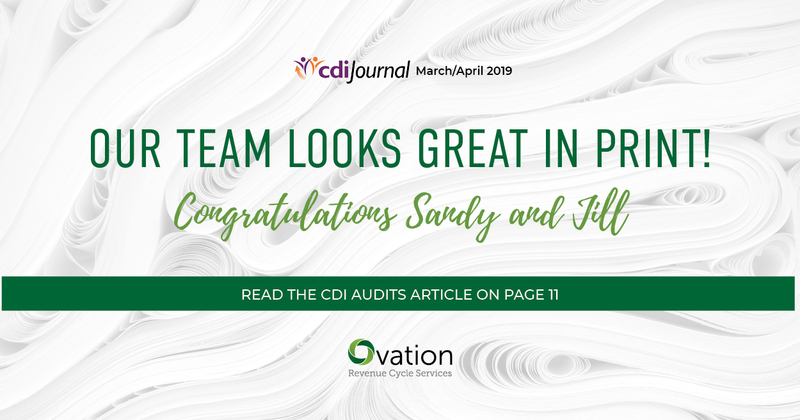 Sandy will explain the ICD-10 terminology, provide you with procedure examples, and of course, supply all of the relevant codes. 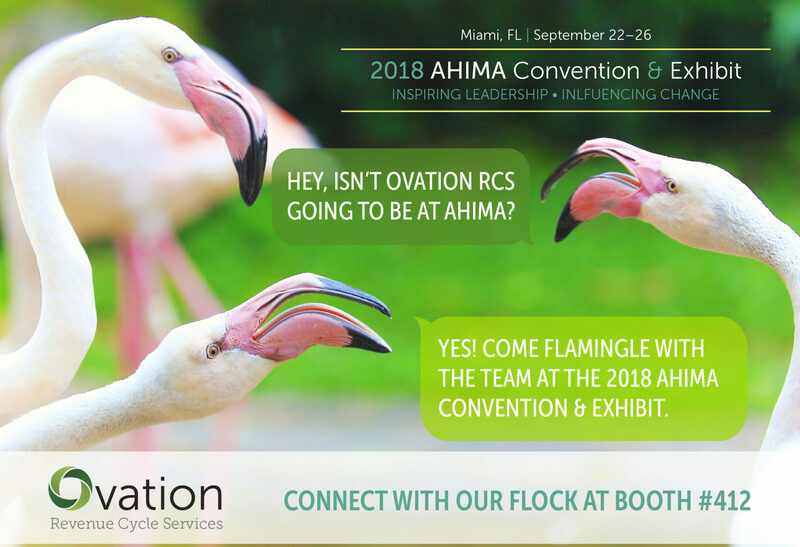 To find out more, please visit: www.ovationrcs.com Have questions?